THE African Union Peace and Security Council has called for the immediate and unconditional lifting of the West’s illegal economic sanctions against Zimbabwe to foster socio-economic recovery. The 15-member PSC, the only organ mandated to enforce union decisions, spoke in the wake of condescending pronouncements from the Anglo-Saxon alliance that comprises the US, Britain and its dominions — the erstwhile penal colony of Australia and Canada — that they would maintain their sanctions, claiming the July 31 harmonised elections were not free and fair. The elections have been praised as peaceful and in conformity with regional standards and principles by observers from the Southern African Development Community (SADC) and the African Union (AU). Zanu-PF is heading for a landslide victory in harmonized elections held on 31 July and widely praised by regional and international observers as credible and well-managed. BULAWAYO – From downtown shops that stock cheap clothing and shoes that fall apart after one wear, to mining concessions in platinum, gold and diamonds – the Chinese finger is now in virtually every Zimbabwean pie. On 25 August 2011, a story appeared in the New Era’s newspaper with the former Governor of Omusati Region, Nangolo Leonard Mukwiilongo, reported to have urged the government to revise its land distribution policy, because, according to Mukwiilongo, ‘the government has failed to address the land issue…which renders fruitless the liberation struggle that was in part driven by Namibians’ quest for land from which they were uprooted’. US Senator Russ Feingold is displeased. The legislation he helped draft in 2001 to cripple Zimbabwe’s economy as punishment for the country’s land reform program, which redistributed the land of 4,000 settlers to 300,000 landless indigenous families, has been exposed for what it is: a major instrument in a program of economic warfare designed to restore the property of expropriated farmers and drive the land reform program’s champions, Zanu-PF, from government. Feingold is counterpunching with new legislation which he hopes will prove less of a liability to US propaganda, which has misdirected blame for Zimbabwe’s economic meltdown to Zanu-PF policies. At the same time, the new legislation aims to strengthen the West’s agent on the ground, the Movement for Democratic Change. 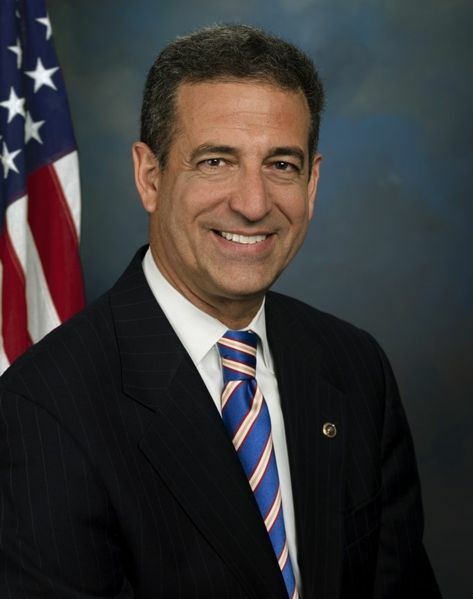 New US legislation introduced by US Senator Russ Feingold to update a 2001 bill that has been used to cripple Zimbabwe’s economy is aimed at supporting members of Zimbabwe’s coalition government who support US goals of restoring the property rights of settlers, while pressuring land reform champions to step down from government posts. The current legislation, ZDERA, the Zimbabwe Democracy and Economic Recovery Act, was passed into law in 2001 as an instrument to be employed in the program of ousting the Zanu-PF government. Zanu-PF, a merger of forces that had played the leading role in the country’s liberation from settler minority rule, provoked Western reaction when it rejected harsh conditions imposed by the IMF in the late 1990s and then introduced a fast-track land reform program. The land reform program expropriated settler farms without compensation, redistributing land to indigenous Zimbabweans. The beneficiaries of the program were over 300,000 previously landless families who were resettled on land previously owned by 4,000 farmers, mostly of British origin. ZDERA, which blocked Zimbabwe’s access to loans, credits and debt relief from international financial institutions, plunged the country into an economic abyss. To bleed Zanu-PF of popular support, the United States, Britain, the European Union and other Western governments launched a propaganda offensive, blaming the ZDERA-induced economic meltdown on Zanu-PF mismanagement. At the same time, they backed the formation of a new opposition party, the MDC (Movement for Democratic Change), which brought together the settler community, trade unions and non-governmental organizations (NGOs). The MDC and its NGO partners have received generous assistance from Western governments and foundations, and have championed an agenda congruent with overseas investor rights and the interests of the settler community. US Senator Russ Feingold has introduced new legislation to update a 2001 bill he co-wrote that has been used to cripple Zimbabwe’s economy. Feingold and others have tried to blame the effects of the 2001 bill, known as ZDERA, on Zanu-PF mismanagement. Since the MDC’s formation in 2000 a virtual low-level civil war has convulsed the country, with the MDC, its civil society allies, and its Western backers seeking to oust Zanu-PF from power through electoral and extra-electoral means. Elections held in 2008 produced a parliament divided roughly evenly between Zanu-PF and the MDC (the MDC having fractured, by this point, into two factions.) Morgan Tsvangirai, leader of the largest MDC faction, won the first round of voting in the presidential election, but failed to obtain a majority, forcing a runoff. Alleging that Zanu-PF partisans were using violence to intimidate his supporters, Tsvangirai withdrew from the ensuing runoff, effectively conceding the presidency to Robert Mugabe, the Zanu-PF candidate. This left the country divided, with neither party able to convincingly command the support of a majority. To avoid paralysis, the parties agreed to the formation of a coalition government. Mugabe would serve as president and Tsvangirai as prime minister. For the MDC’s Western backers, the outcome was neither as good as desired, nor as bad as it could have been. MDC members were part of the cabinet, and therefore could affect policy, but Zanu-PF controlled the police and military, and therefore was in a position to block any attempted roll back of the party’s land reform program, as well as its (newly introduced) economic indigenization agenda. And it was precisely land reform and economic indigenization (a policy mandating majority ownership of the country’s enterprises by indigenous Zimbabweans) that Western governments bristled against. Another minus from Washington and London’s point of view was the coalition government requirement that all members call for the lifting of sanctions. The official Western position, mimicked by the MDC, was that there were no sanctions, only targeted “restrictive measures” that exempted the population at large and punished a few key members of Zanu-PF. By denying the existence of sanctions, the West could blame Mugabe for the country’s economic turmoil, thereby providing Zimbabweans with a reason to turf Zanu-PF from government. However, the West’s story wasn’t believable. ZDERA, with its obvious punitive implications for Zimbabwe’s economic welfare, could be pointed to as evidence of Washington’s hostility to Zimbabwe’s agenda of investing its liberation struggle with substantive content. (Zimbabweans want more than their own flag. They want control of their land and resources, too.) The ZDERA bill was readily available for all to see, in black and white, tangible evidence of the sanctions regime the United States denied existed. Requiring the MDC to climb aboard the anti-sanctions bandwagon, which already included the South African Development Community and the African Union, made the task of crippling Zimbabwe’s economy and blaming it on Mugabe all the more difficult. Zimbabweans want more than their own flag. They want control of their land and resources, too. At the same time, the United States wants to step up assistance to the MDC, which, while part of the coalition government, is not in a strong enough position to roll back Zanu-PF’s land reforms. With the MDC now controlling some levers of government, the United States has the option of directing advice, material assistance and loans and credit to MDC-controlled ministries, freezing out ministries under Zanu-PF control. Out of these requirements has come the Zimbabwe Transition to Democracy and Economic Recovery Act. The aim is to do exactly what ZDERA (which Feingold had had a hand in drafting) aims to do: strengthen the MDC and weaken Zanu-PF, in order to clear the way for the MDC to come to power to carry out the US agenda of restoring property rights. It is no accident that Feingold’s new bill, and the statement accompanying its introduction, dwell on Zanu-PF’s “continued disrespect…for property rights,” a reference to the expropriation of settler farms and their redistribution to landless indigenous Zimbabweans. It’s no accident because that’s precisely what the new act, and ZDERA as well, is intended to overturn: the negation of private property rights to serve public policy goals, in this case, redress of an historical iniquity and recovery of indigenous sovereignty. US policy, then, brooks no abridgment of the right of individuals who currently hold productive property to continue to enjoy that property, and acts to vouchsafe their property against its being brought under public control, as socialist or communist governments may do, or being transferred to local business people (including landless families), as economic nationalist governments may do. The violation of the principle of private property by the 99 percent of the world that has none, has always been sufficient to arouse the hostility of the US government, which has always acted on behalf the remaining one percent. Feingold’s new bill is a continuation of this tradition. Iranian President Mahmoud Ahmadinejad has criticized bullying powers for making attempts to deprive world nations of their inalienable rights. “A number of bullying powers in the world have violated the rights of nations and have, for centuries, deprived them of their inalienable rights,” said Ahmadinejad on Friday at the opening ceremony of an international trade fair in Zimbabwe’s second largest city, Bulawayo. has been studiously ignored almost everywhere for the best part of…..,well, a decade. An honourable exception has been Stephen Gowan’s blog. Zimbabwe‘s crippled economy received a boost when the IMF sanctioned a $510m (£311m) loan, its first to the country in a decade. Having established saintly status for himself Obama can now get off with this mendacious, racist caricature of Africa and rebrand Western plunder as “patronage”. The nerve of this charlatan, fresh from putting the finishing touches to the US kleptocracy, in attacking African leaders for self-enrichment is astounding and puts him firmly in the Blair, Goebbels school of deception and hypocrisy. Africans need to take cognisance of the fact that behind the “partnership” verbiage lies the menace of Africom. ITNT strongly recommends that African states reject any “health” initiatives coming from the USA. Adopting a tone his white predecessors never dared employ, the US President told Africa it could no longer blame the West for all its woes.